Anyone who has ever heard of the “rule of 3s” knows that one of the most important survival needs we all have is heating. It doesn’t matter if you are hiding out in your basement or have bugged out to a secret location in the woods, you’ve got to have heat. A number of the survival things we do, such as building shelter, wearing clothes and, of course, starting fires, are all part of fulfilling that need. That’s why many homesteaders have fireplaces and wood-burning stoves. We recognize this need and try to prepare for it. But what if something goes wrong? What if something happens to the wood-burning stove, rendering it useless? Or what if someone lives in an apartment or home without a stove – and the electricity goes out? What can be done then? Are there other options? Fortunately, there are always other options. Let me say here that you shouldn’t limit yourself only to one option on anything. If your Plan A to heat your home is to use your fireplace and you don’t have a Plan B, you’re looking for trouble. While there isn’t much that can go wrong with a fireplace, strange things happen. Damage to your home might make it impossible to use the fireplace or even to use the room that the fireplace is in. So, what alternate heating can we use for our homes, besides heating with wood? Find out how more than 78,000 Americans have greatly benefited from this amazing creation, and found energy independence, Click Here! One abundant fuel source that people use for heating their homes is propane. I’m sure you’ve seen houses or even house trailers with a propane tank out back. The gas company comes and fills it up once a year, and the family has a constant supply of propane gas to power their heat, warm their water and even provide a fire in a fake fireplace. The great advantage to that system is that you have control over your supply of propane. With the tank in your backyard, it doesn’t matter if the electricity goes out – you’ve got gas. The best way of using propane is with a catalytic heater. These come in various sizes and use a ceramic element. The propane burns more on the level of coals in a fire, rather than an open flame. This makes it safer and helps to prevent using the propane up too quickly. These heaters are highly efficient. They also come in smaller versions, which will hook up to the top of a portable propane tank, such as the type used for a barbecue grille. That makes them usable, even if you don’t have a 500-gallon propane tank in the backyard. Simply get a few portable tanks and fill them up. You’ll have enough heat to last a while. 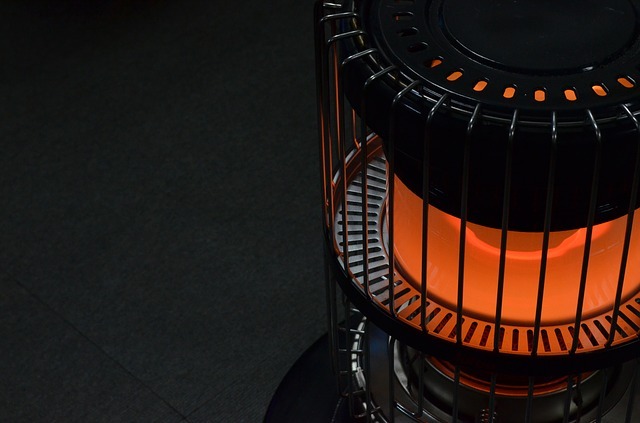 Kerosene heaters are another excellent way of heating, without using electricity or wood. Of course, you only want to use kerosene heaters in areas of the country where kerosene is readily available. In some places, you can buy it through gas stations, but in other parts of the country, the only source is a paint store. That makes it too expensive to be practical. I used a kerosene heater for my office when I lived in upstate New York. My office was in an unheated, uninsulated attic, but with the kerosene heater, I was able to keep it warm. It didn’t cost me a whole lot to use it, either. Passive solar homes are designed and built specifically to harvest sunlight and convert it to heat. But even if your home was not built as a solar home, you can still take advantage of solar power. If you have a number of well-insulated south-facing windows, you may be able to use the sunlight streaming through those windows to (somewhat) heat your home. You need something black for the sunlight to fall on. If you have black carpet or a black flagstone floor, that would be perfect. Another option to make use of that solar power coming in your windows is to make a solar heat exchanger. This is nothing more than a plenum for air to pass through, where it will be heated by the sunlight. The plenum needs openings at both the top and the bottom, so that cool air can enter in the bottom and warmed air can exit out the top. This will happen with natural convection, eliminating the need to use any electrical power. Many people make these plenums by cutting the tops and bottoms out of aluminum cans and gluing them together. The cans are then painted flat black, so that they will absorb the sunlight well. Aluminum is a good material for this, because it has one of the highest thermal conductivities of any material you could use. If you don’t have access to a good stock of aluminum cans, you can accomplish the same thing by closing off the window opening from the inside, leaving about an inch of space at the top and bottom. The side facing the sun has to be painted black, preferably flat black. Whatever material you have available would work, such as plywood or cardboard. But ideally, you’ll cover the side (the side facing the sun) with aluminum, painted black. Another option is to create a heater from ceramic flower pots. Two pots can be put together, with one upside-down on top of the other. This creates a container with empty space inside. Put a candle, oil-burning lamp or a candle made out of a can of vegetable shortening inside. When lit, it will heat up the ceramic, which will radiate heat into the room. Your body is generating heat all the time. If you’re trying to survive, don’t take for granted the heat that it is generating. Be sure to dress warmly so that you can keep that heat in rather than having it radiate into the air around you and then trying to replace it. The single most important part of keeping warm is to wear a hat, as about one-fourth of the body’s blood supply goes to the head. If you don’t wear a hat, too much of that heat is radiating out of our head and away from the body.